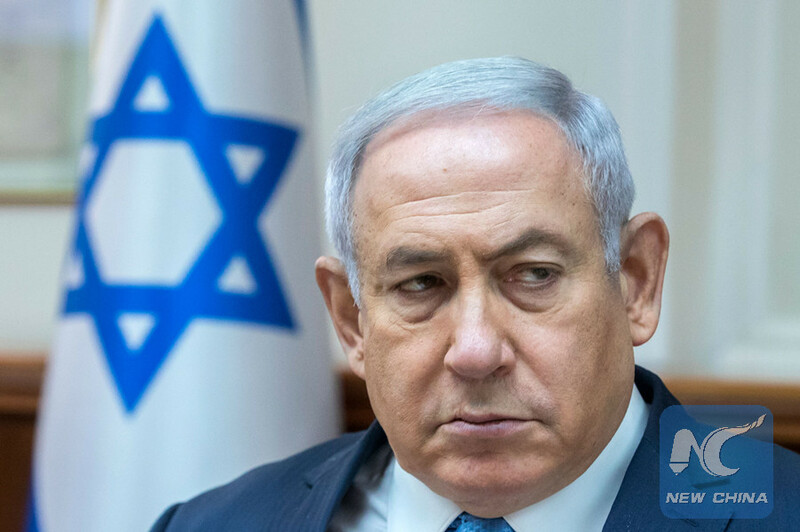 JERUSALEM, July 9 (Xinhua) -- A controversial bill seeking to stop using Arabic in any official publication in Israel will be brought for final approval next week, local media reported on Monday. The new bill, pushed forward by Jewish nationalist lawmakers, seeks to strip Arabic of its status as an official language and anchor Israel as a Jewish state in law. With Arabs composing some 20 percent of its population, Israel currently has two official languages: Hebrew and Arabic. An earlier version of the bill, approved by the government in May, stated that the Arabic language will receive a special status and will be made accessible in all public institutions. According to Israel's Ynet news site, the new version drops the statement on making Arabic accessible and instead says its status will be regulated in a separate law. The amended bill also allows the establishment of Jewish-only communities in Israel, where Arabs are not allowed to rent or buy homes, Ynet reported. The bill is scheduled to be presented in the Knesset (parliament) next week. It needs to pass two full rounds of votes with a majority of 61 lawmakers in the 120-seat parliament. Tourism Minister Yariv Levin denied that the bill aims to cancel the Arabic language's official status, saying it will be "Israel's second official language." However, he said the new law will not require government and public ministries to include Arabic in their publications, as they currently have to do. Arab citizens of Israel are Palestinians who stayed put during the 1948 war. They formed Israel's largest minority and often complain about lack of job opportunities, racism, and discrimination in all fields of life, including access to health, education, transportation, and municipal services.